Ah, the greetings weary teachers give one another in passing. Meant to encourage, we often make reference to upcoming breaks, holidays, or (in the most desperate of situations) even just to the end of the school day! We roll our eyes, sigh, and half-heartedly laugh with a look that shows clearly that we’re completely serious. If I could just finish this math lesson and make it to the end of the day, I can go home and take a nap… God, give me the strength to just get through this! What teacher hasn’t prayed a prayer like that? 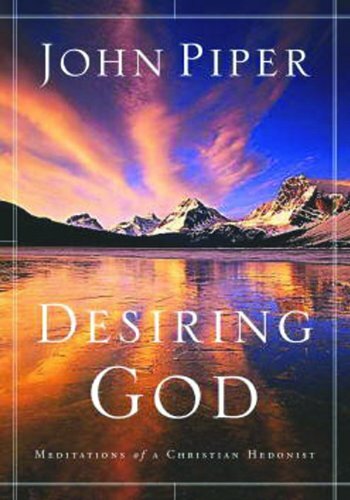 We might even congratulate ourselves for remembering to pray about it and for relying on God’s strength and not our own… when in fact, we are settling for so much less than God wants to give us. We've all read how Jesus implored us: "I tell you the truth, my Father will give you whatever you ask in my name... Ask, and you will receive, that your joy may be full." (John 16:23-24). But most of us are still left scratching our heads, confused about how to have victory in our prayer lives. Just what are we supposed to be asking for? After all, who can tell the will of God? What if we’re asking for something that He doesn’t want to give us? It can be terribly disappointing and disillusioning to ask God confidently for something and then have Him give us a different outcome. Confessing God’s word to Him in prayer is a powerful tool for helping us ask for things that are in His will without getting sidetracked with our own desires. ‘Confess’ means ‘to acknowledge by way of revelation (disclosure); to own or admit as true”. When we bring our thoughts and words into line with the truths that the Lord has spoken, we’re filling our prayers with power! There's nothing in the Bible about just enduring a day that God has blessed us with. Ask the Lord to bring your heart's desires into line with His, and confess His word in prayer, and He will show you how to have fullness of joy each and every day. A joyful life is what Christ died to give us, and this is His true desire for our lives (John 16:23-24), so why would we settle for anything less? ... Remain in My love... I have told you this so My joy may remain in you and that your joy may be complete. (John 15:10-11). -Joyce Meyer has a wealth of books, teaching tapes/CDs, and free downloadable teachings and podcasts that focus on enjoying everyday life. Her series on "Enjoying Where You Are On The Way To Where You Are Going" and "Be Bold!" are especially powerful for people who want to increase the power and victory they have in daily struggles by approaching the throne of God with faith and confidence. 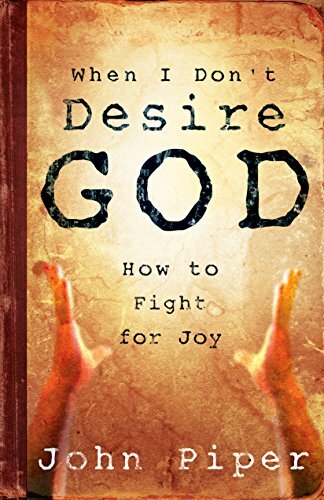 -These two powerful books by John Piper completely revolutionized the way I view my life, and taught me that joy is the most powerful weapon we have against the enemy and discouragement. Joy not an option for a Christian- it's what being a Christian is all about! They're very deep books that illuminate the heart of God in a way that very few authors have done. (Yes, the subtitle on the second cover IS "Meditations of a Christian Hedonist", and the two terms are not mutually exclusive, they were intended by God to be one and the same!). Click on the cover pictures to read excerpts and for purchasing information. 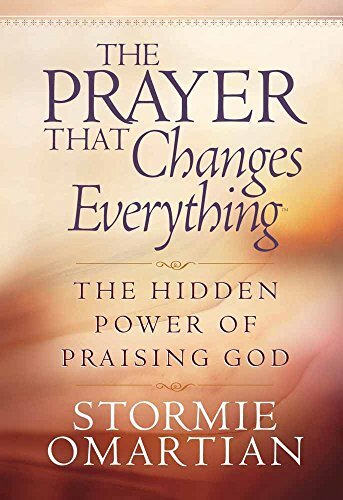 -Stormie Omartian's book series explains exactly how to use God's word to bring power to your prayers and bring your desires into line with scripture. They are easy to read and understand, and wonderful reference points. 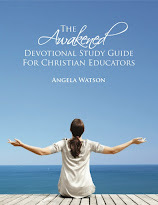 Angela: We're so excited to see a new devotion! I'm curious as to why you chose to use the work "confess". "Profess", "pray",or even "speak" seem more appropriate. But, hey, God did give you this devotion! It's great, and i know it will bless others. I chose confess because that's the way I heard it from the Lord! :-) Confess means ‘to acknowledge by way of revelation (disclosure); to own or admit as true'. Profess, pray, and speak are all perfectly good terms that you could use if you feel like that's what God has laid on your heart! Thank you so much for your words! I needed to read them especially today! God Bless!!!!! It is awesome to see how God is working through you! 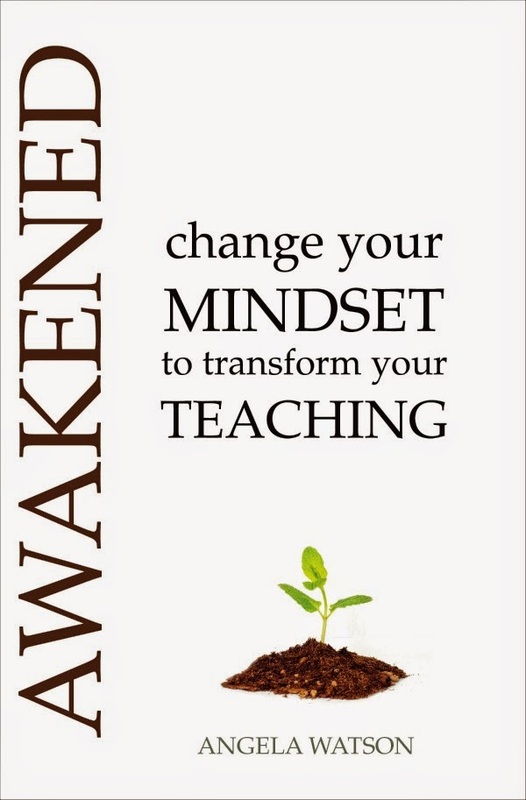 I just happened to see your idea on Education World and had to check out your devotionals. Maybe we will run into each other again sometime when we are both visiting our parents--if not, I'll keep you in my prayers. It's amazing how God works. 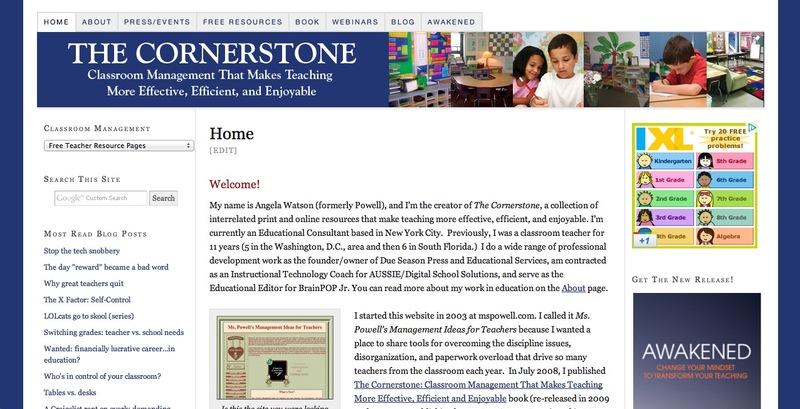 A week or so ago I was looking for ideas for centers in my classroom and I stumbled on your site. I've spent hours pouring over your ideas and I've definitely felt blessed. Then this morning I went looking for teacher devotions, as I am leading devotions next week. Lo and behold, the first site on google's list was yours! I had no idea that you had a devotional.